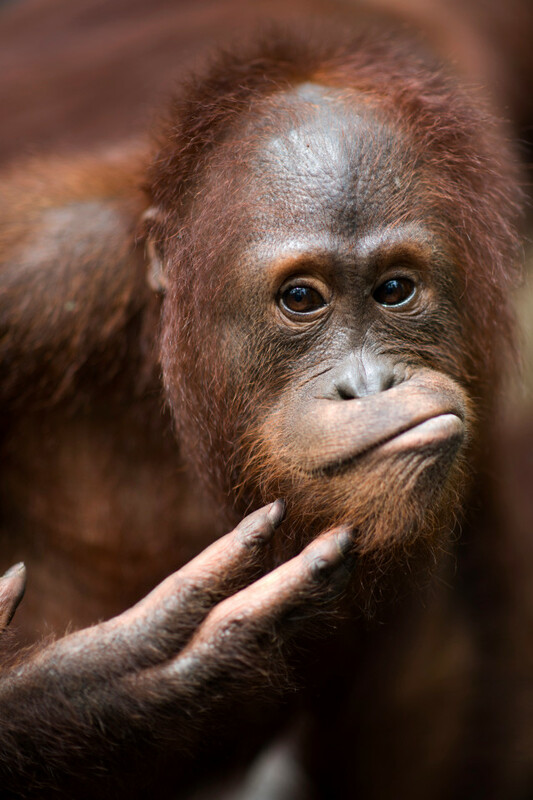 Orangutan Reproduces Human Sounds – FIREPAW, Inc. Published on Wednesday in Scientific Reports, a Nature publication, researchers from Britain, Germany and the United States provided evidence that orangutans are able to learn sounds from humans, then reproduce them at will. It had yet to be conclusively demonstrated that a great ape could control the pitch and volume of its vocalizations — until now. At first glance, this video of an orangutan imitating a trainer’s grunts may not seem incredibly significant. But primate researchers say Rocky, the 11-year-old orangutan in the video, could fundamentally alter how we think about spoken language.